Light always on outlets, 40 amps total. Includes our unambiguous precision overvoltage and under voltage indicators with audio alert. The audio alert is selectable for over or under voltage or may be disabled. "Complete" Model Includes a 6 foot Power Supply Cable and a 12 pair package of 30A Powerpole connectors. 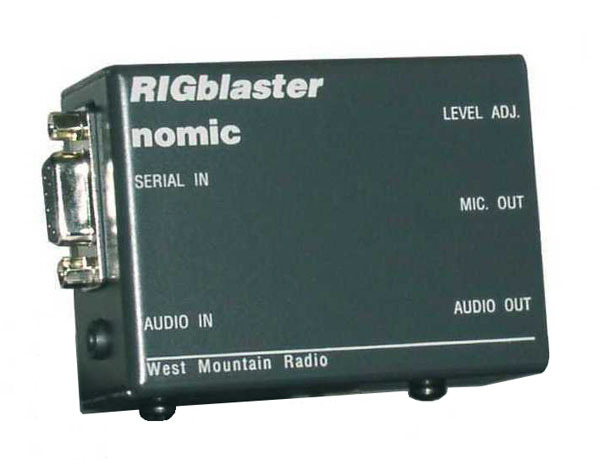 External interface w/USB for sound card based digital modes on any band. 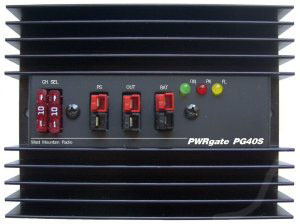 A Super PWRgate is a 12 volt backup power system that can supply up to 40 amperes continuously from either a Power Supply or a Battery, and can also charge the battery with its high performance charger. Connected equipment will instantly switch to battery during a power blackout or power supply failure. No glitches. The circuit uses two 80 ampere Schottky diodes as an OR-Gate to isolate the battery and power supply from each other. Forward voltage drop of less than 0.3 volts at 20 A. To keep the battery fully charged and ready for use, the Super PWRgate has a built-in four-stage battery charger with selectable current rates of 1, 4, 7 or 10 amperes. The circuit is optimized for use with GELLED & AGM type batteries, but will keep flooded lead acid and marine type batteries near full charge as well. The Super PWRgate and the power supply may also be used to charge a battery that is powering the radio, as described in December 2003 QST Page 41 titled "Emergency Power at W1ZR". 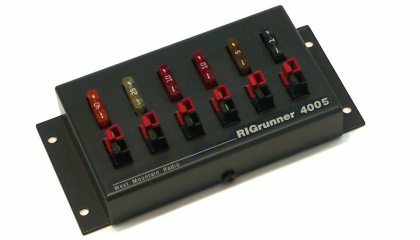 Capabilities RIGrunner is the most convenient and safest way to connect all of your 12 volt equipment to a power source. It uses the excellent Anderson Powerpole connectors, standardizing all of your 12 VDC connections. 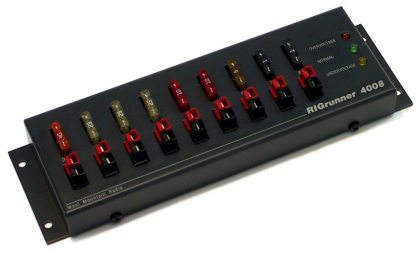 This RIGrunner can deliver up to 40 amps total through 5 outlets and is available with top mounted Powerpole connectors. •40 amp 12 VDC continuous duty with 5 outlets Construction •Built in USA to IPC-610 commercial manufacturing standards by an ISO9002 facility. •Printed circuit board .062 FR4 material, extra heavy 3oz. copper, with greater than 1" wide high current traces. •Double sided, plated through holes, solder mask over bare copper, silk screened commercial grade printed circuit board. •Enclosure: .062 aluminum, with attractive and extremely durable powder coat painting and clear silk screen labels. •Power connectors: exclusively Anderson Power Products Powerpoles®. •Connectors are arranged according to the ARES/RACES standard (see our links). •Fuses installed are standard ATC/ATO automotive fuses available in 10 values from 1 to 40 Amps. •Stainless steel hardware with PEM™ threaded mounting standoffs.